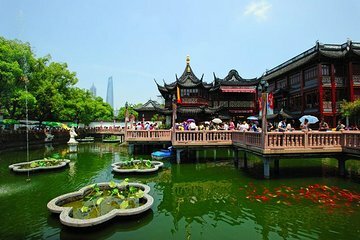 Shanghai is China’s biggest city and with just a day to explore, a private tour will ensure you maximise your time. This full-day tour is tailor-made for you, so you could admire the views from the Shanghai Tower; visit Yuyuan Garden, the Jade Buddha temple, and Nanjing road; cruise down the Huangpu River from Riverside Promenade area, or take part in a traditional Chinese tea ceremony. Hotel pickup and drop-off is included.